A pop of green updates the classic pearl! Lustrous faux pearls in two sizes mix with faceted crystal beads and rhinestones for a sparkling, new look. 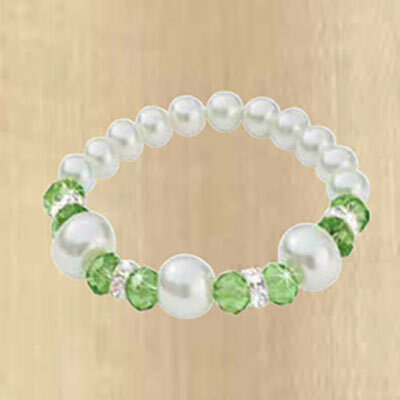 Faux Pearl & Bead Stretch Bracelet is stretch style and available in green only. One size fits most.